Highveld Lions left-arm seamer Beuran Hendricks has been called up to the Proteas squad for the last three ODIs in the series against Pakistan, along with Dale Steyn and Quinton de Kock. 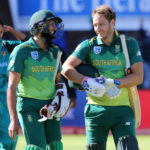 The strong reaction to the Proteas’ loss in the first ODI to Pakistan at St George’s Park is no doubt due to raised public expectations following the 3-0 Test series win, but the public has overlooked what went right in PE, writes SIMON LEWIS. Yesterday we bounced past the 1,000,000 view mark on our YouTube channel … so we thought today would be the right time to look back at our greatest YouTube hits over the past 21 months. 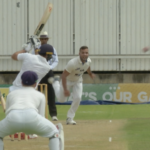 The Cape Cobras struck early against the Knights in Bloemfontein on Friday 4 January 2019 to reduce their hosts to 3-3 inside the first 17 deliveries as the top order was blown away by Cobras seamers Dane Paterson and Lizaad Williams, before the Knights recovered to reach 241-8 by the close of play. 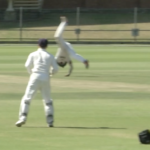 The 4-Day Franchise Series match between the Warriors and the Cape Cobras at St George’s Park in Port Elizabeth (won by the Cobras with 3.2 overs to spare) showcased some terrific fielding moments. 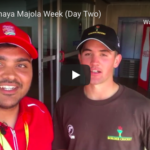 With the Coca-Cola Khaya Majola Cricket Week due to start on Sunday 16 December, we look back at five great moments and interviews with promising schoolboy players from recent Weeks. 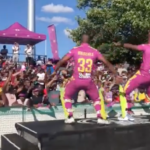 Dwayne Bravo and Mangaliso Mosehle entertained the Paarl Rocks fans at Boland Park after their team’s six-wicket win over the Nelson Mandela Bay Giants booked their passage through to the Mzansi Super League playoffs. Cape Town Blitz’s 12-run D/L method win over the Nelson Mandela Bay Giants wasn’t short of highlights or fast action. 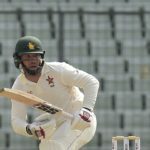 Zimbabwe’s Brendan Taylor has joined a unique club of players to have scored a century in each innings of a Test match on two occasions, following his scores of 110 and 106 not out against Bangladesh in Dhaka, writes SIMON LEWIS. 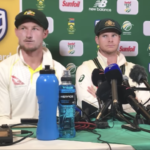 Former batsman Mark Waugh has publicly challenged Australia’s decision to omit all-rounder Glenn Maxwell from the squad for the ongoing Test series against Pakistan in the United Arab Emirates. 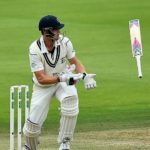 South African-born England batsman Nick Compton has retired from professional cricket. 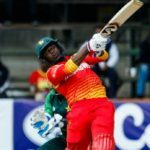 South Africa and Zimbabwe will soon meet for three ODIs. 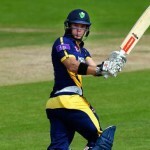 Here are five members of the touring squad the hosts will need to successfully combat. 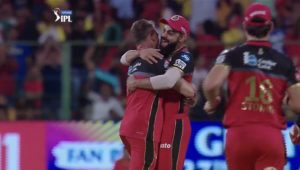 The T10 League in Abu Dhabi is scheduled for 23 November to 2 December 2018. South Africa’s new T20 league will run from 9 November to 16 December 2018. The former will prevent several big stars from playing in the entire latter. The Cape Cobras have ended all-rounder Wayne Parnell’s contract. 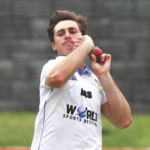 The ties were cut after Parnell signed a Kolpak contract. The Titans squad for October 2018’s Abu Dhabi T20 Trophy features a string of Proteas past, present and future. Here, we profile five players with points to prove in the United Arab Emirates.